Refer my WinSCP and Putty Tutorial for help with Copying file and Putty Usage. $ mosquitto_pub -d -t hello/world -m "Message To Send"
$ mosquitto_pub -h raspberrypi -d -t hello/world -m "Message To Send"
$ mosquitto_pub -h 192.168.1.2 -d -t hello/world -m "Message To Send"
iwconfig command is similar to ifconfig command, but is dedicated to the Linux wireless interfaces. It is used to manipulate the basic wireless parameters such as ssid, mode, channel, bit rates, encryption key, power and much more. wlan0 IEEE 802.11bgn ESSID:"Your SSID" Nickname:"rtl_wifi"
I had a Logitech C100 Webcam lying idle at home so decided to give it a try with the Raspberry Pi. Motion detection was good and captured screenshots with date time stamp. 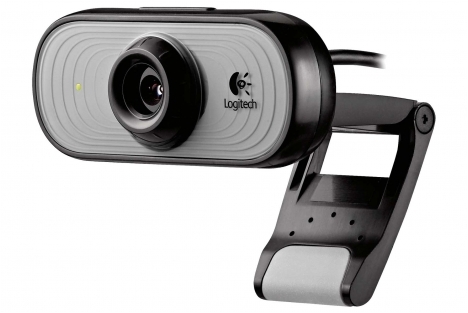 Raspberry Pi • View topic – video surveillance (USB webcam, IP cam…) enough power? Note : These are generic guides but work on the RPi. 2.1 Private Key stays on your PC and will be used with Putty. 2.2 Public Key needs to be copied to “/home/pi/.ssh” and will be saved in “authorized_keys” file. Note: The /.ssh folder might not be present in the user “pi” folder so you need to create it. Note: This is a very important step to format the content in “authorized_keys” file if you generated the Keys using Putty. Note: The extra wins added in the end. Note: files, dns and wins are the important entries here. Note: The order of files, dns and wins is important. Installing winbind and changing the config files makes it work Linux to Windows. All Credits To : Darkness on Raspberry Pi Forum for this suggestion. but this somehow never worked for me only the above mentioned steps works perfectly. Now if we reboot we need to again mount this network share. Categories: Networking | Tags: raspberrypi, shares | Permalink.